Dusty Blue and Rust Floral Coordinating Prints. Top has elastic neckline and sleeves. Skirt and Capri's have elastic waist casing. Top has Rose adornment on neckline. Neckline and Short sleeves have elastic casing. Hem is trimmed in eyelet lace with ribbon bow on front neckline detail. 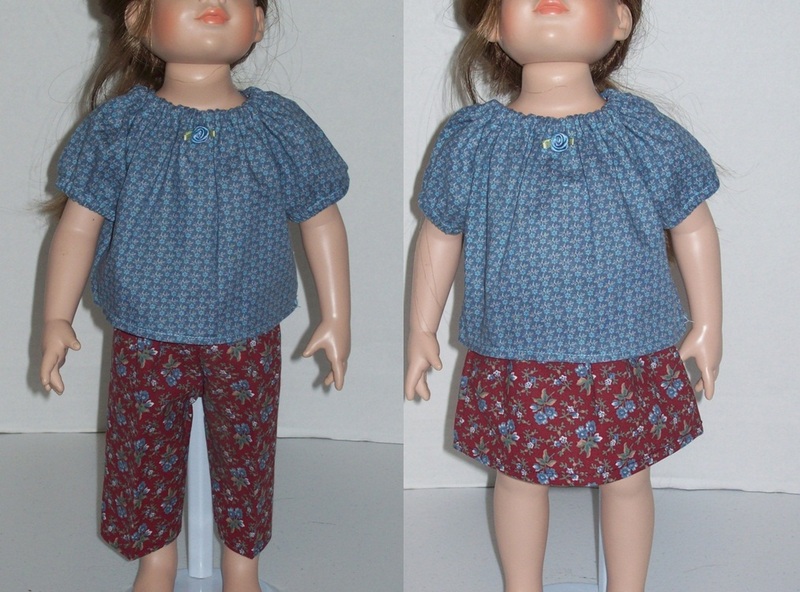 Made to fit most 18" Girl dolls. Cotton Seersucker print in pastel stripes. Machine wash, dry and iron on warm setting. Doll & Stand Not Included. Shown on Magic Attic doll. Neckline and Short sleeves have elastic casing. Hem is trimmed in red lace with ribbon bow on front neckline detail. White cotton flannel with red heart print. 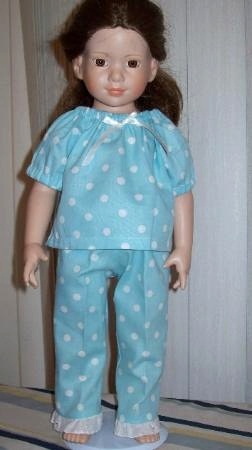 Made to fit most 18" Girl dolls. 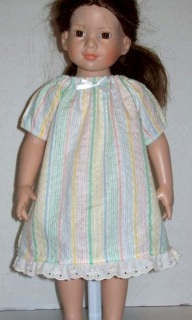 Shown on Magic Attic doll. Machine wash, dry and iron on warm setting. Top has elastic neck and sleeves. Pants have elastic waist casing and trimmed in eyelet lace. Top has white ribbon adornment. Cotton fabric is machine wash/dry. 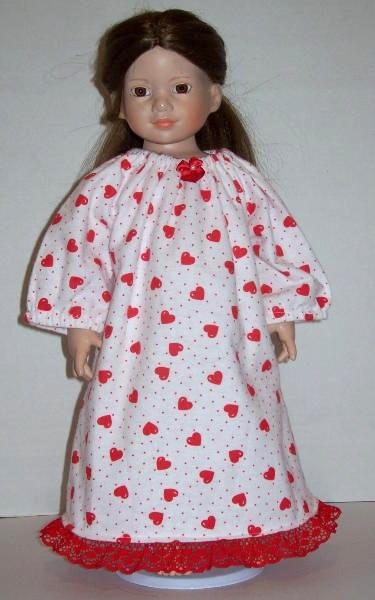 Made to fit most 18" Girl Dolls such as American Girl, Magic Attic, Madame Alexander, Our Generation.